Following a bumper weekend of action in which New Zealand wrapped up the Rugby Championship, which individuals stood out? While everyone talks about the exclusion of Danny Cipriani and Sam Simmonds from the England squad, Alex Goode continues to put in performances for Saracens that make it difficult to explain why Eddie Jones won't have him in his squad. Against Bath on Saturday, Goode made 17 carries, beat nine defenders and made six breaks while setting up tries for team-mates as well as going over for one himself. The full-back made 213 metres with the ball, which just about got him all the way to France where he watched on from the first tee as Europe secured victory in the Ryder Cup. This spot could easily have gone to Liam Williams for his hat-trick against Bath, while Cheslin Kolbe was solid for the Boks against Australia and Waisake Naholo kept the Pumas defence honest in Buenos Aires. However, we've put Earle in the side as his two tries helped Harlequins to an important victory over Gloucester at Kingsholm on Saturday afternoon. Warren Gatland, Wayne Pivac, Scarlets fans - essentially everyone but the Kings players were happy to see Jonathan Davies back on a rugby field on Saturday. The British and Irish Lions centre scored two tries, carried 16 times, beat five defenders, and made two breaks as he made the South Africans' lives miserable in his comeback game at Parc y Scarlets. It was an important victory for Racing 92 in the Paris derby over the weekend as they now move to third in the standings, one point behind their rivals Stade Francais. Henry Chavancy was solid in the midfield for the visitors, making 10 tackles as well as nine carries in an attritional game in the French capital. Rieko Ioane's Test strike rate is incredible. The winger scored twice against Argentina on Saturday, taking his international tally to 20 in 19 games. If he scores against the Springboks at Loftus Versfeld later this week he will move into New Zealand's top 20 try scorers of all time, and he's still only 21 years old. Adam Hastings has three Scotland caps, and will likely add to that pretty soon, with the fly-half guiding the Warriors to victory over the Dragons in an all-court performance that included 11 defenders beaten with his 16 carries. The No 10's kicking from the tee left him with a 40% success rate, but he was otherwise in brilliant form at Scotstoun over the weekend. It was another difficult day at the office for the Wallabies as they fell to a 23-12 loss to the Springboks in Port Elizabeth, but things could have been worse for Michael Cheika's side if not for the individual performances of some of his key players. Will Genia was one of those men, instrumental in his side's fightback in the first half as he threw a perfectly-weighted pass to Reece Hodge for their first try, then supported Marika Koroibete to go over for the score that made it a two-point game before the hosts pulled away. Karl Tu'inukuafe was part of a Kiwi pack that completely obliterated the Pumas at scrum time, winning several penalties and frankly making a mockery of Argentina's traditional strength. 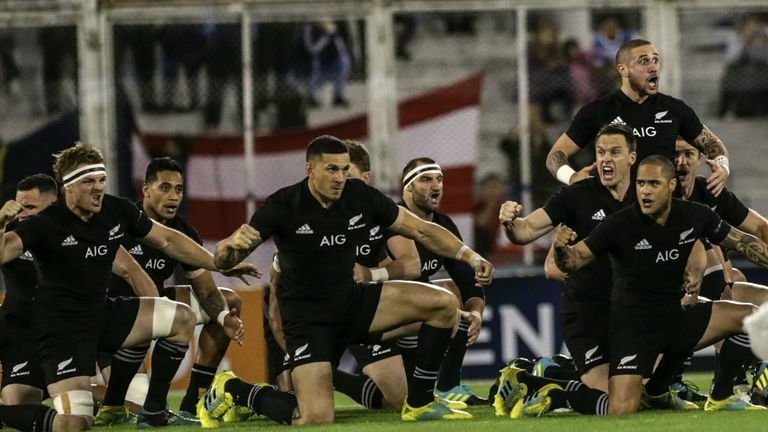 "He could become great," said Steve Hansen of the loosehead prop after the game. "Karl certainly can scrum, can lift in the lineouts, and we are starting to see other parts of his game, too. But Karl will be the first to tell you he is not the finished product." Former Tiger - now Bear - Harry Thacker was superb in his side's loss to Northampton in an 85-point thriller at Ashton Gate. Thacker made most tackles than any of his team-mates with 13, and carried the ball 15 times - second only to Siale Piutau in Bristol colours. This could easily have been Kyle Sinckler's spot, with the Quins tighthead prop carrying the ball 10 times and making 14 tackles against Gloucester. However, for his part in the demolition job done on Argentina's scrum, Ofa Tu'ungafasi is our pick. New Zealand certainly are starting to identify some real depth up front. Billy Holland was Munster's go-to man in the lineout in their thrashing of Ulster on Saturday - winning four throw-ins - but it was his work in defence that gets him into our team of the week. Holland put in no less than 21 tackles on visiting Ulstermen, part of a defensive effort that saw just one try conceded by last season's PRO14 semi-finalists. We moved Holland from the No 5 jersey into the No 4 as we had to give this spot to Tomas Lavanini. The Argentine lock was part of a set-piece implosion, but in the loose he was immense with and without the ball. It's fair to say his disciplinary record isn't exactly short-form reading, but Lavanini is learning to harness his passion for the good of the team, and is developing into a good rugby player in the process. This was the position that caused the most discussions; Peter O'Mahony was brilliant for Munster, and Gloucester's Jake Polledri was once again a joy to watch with ball in hand. 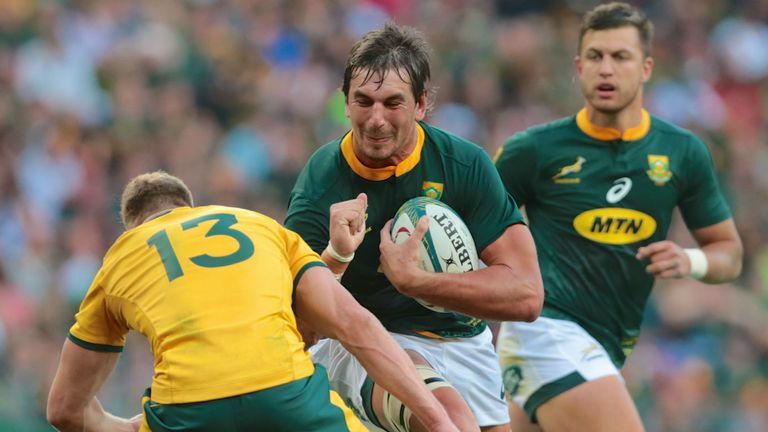 In the Rugby Championship, Pablo Matera matched Lavanini's efforts in Buenos Aires, and Pieter-Steph du Toit backed up his performance against the All Blacks with a man-of-the-match outing in Port Elizabeth. However, Dave Ewers' two tries with the ball against Worcester and 19 tackles without it means he is the owner of our No 6 jersey this week. In his return to the starting line-up in place of Chris Cloete, Tommy O'Donnell had a superb run-out for Munster with Ireland coach Joe Schmidt no doubt an interested spectator in the stands. The flanker scored two tries, showing great pace and athleticism to break away for his first, then finishing strongly on the back of a driving maul for the second five-pointer. CJ Stander made an enormous contribution in Munster's win, while David Pocock was a menace at the breakdown against the Springboks, but Ardie Savea is in at No 8 for us this week. The Hurricanes loose forward was a late addition to the starting XV following Luke Whitelock's withdrawal, and made the most of his opportunity as he beat eight defenders with the ball and put in 13 tackles to repel the home side's attack.